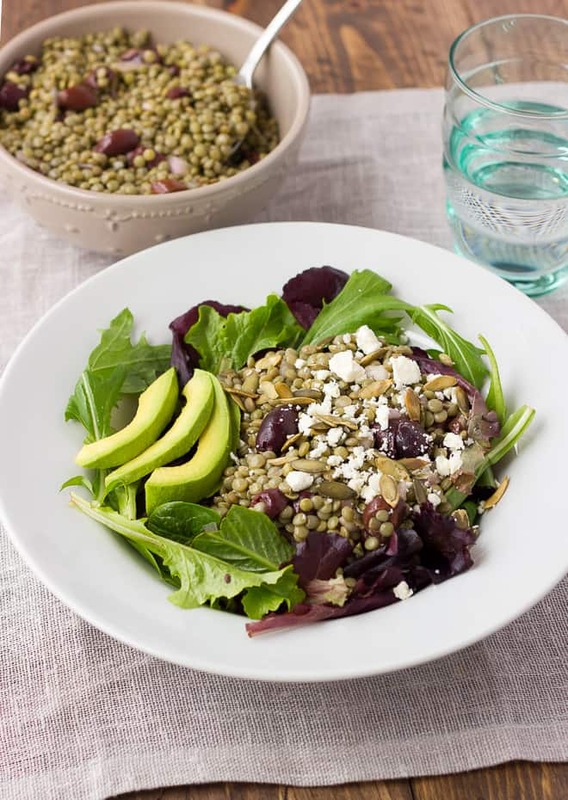 I make this lentil salad all the time! I’m actually surprised I haven’t posted it yet, as I usually make it once a month or so. It is one of my favorite things to make at the beginning of the week and keep in the fridge for lunches throughout the week. 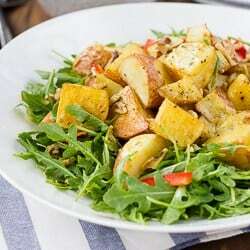 It is full of flavor and tastes delicious on it’s own, or pilled over a bed of greens. I love topping it with sliced avocado and roasted pumpkin seeds. I actually usually skip the feta and it is still delicious! Although if I could tolerate more dairy I would definitely use it, because I love the stuff. I usually do pretty good eating a healthy breakfast and planning healthy dinners. But when it comes to lunch, sometimes I end up eating random snacks that aren’t the healthiest. This leaves me hungry and prone to make poor food choices around 3pm! 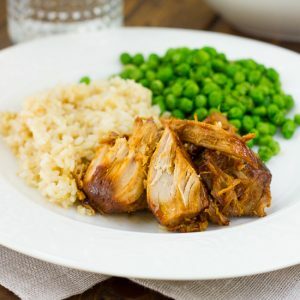 I like having things like this that are quick, healthy, and easy to throw together when lunch time rolls around. It makes it easier to stop and eat something real! Rinse and pick over the lentils to remove any small rocks or stray grains. Place the lentils in a large bowl and cover with water. The water should be 2-3 inches above the lentils. Let sit overnight or at least 1 hour. Preheat the oven to 325F. Drain the lentils and place them in a large dutch oven. Add the water, stock, garlic, bay leaves, and 1 teaspoon of salt to the dutch oven. Stir to combine. Place the lid on top and place in the oven for 45-60 minutes, until the lentils are cooked through. Meanwhile, in a large bowl, combine the olive oil, vinegar, olives, shallots and 1 teaspoon black pepper. When the lentils are done, remove and discard the bay leaves and garlic cloves. Drain the lentils and add them to the bowl with the olive oil mixture. Stir to combine. 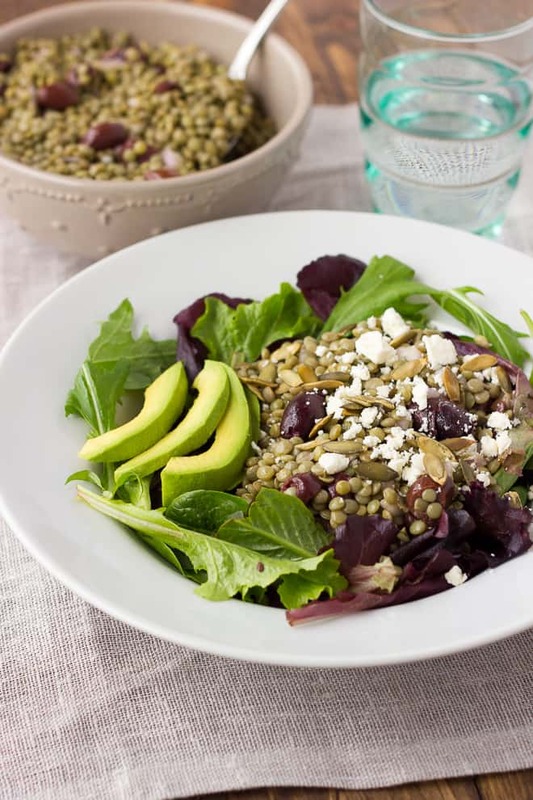 Adding the lentils to the dressing when they are still warm helps them to absorb the flavors. I like to make a big batch of this salad and keep it in the refrigerator for lunches during the week. I would suggest adding the feta and mint just before serving. I just sprinkle a little feta and fresh mint over each portion before serving. 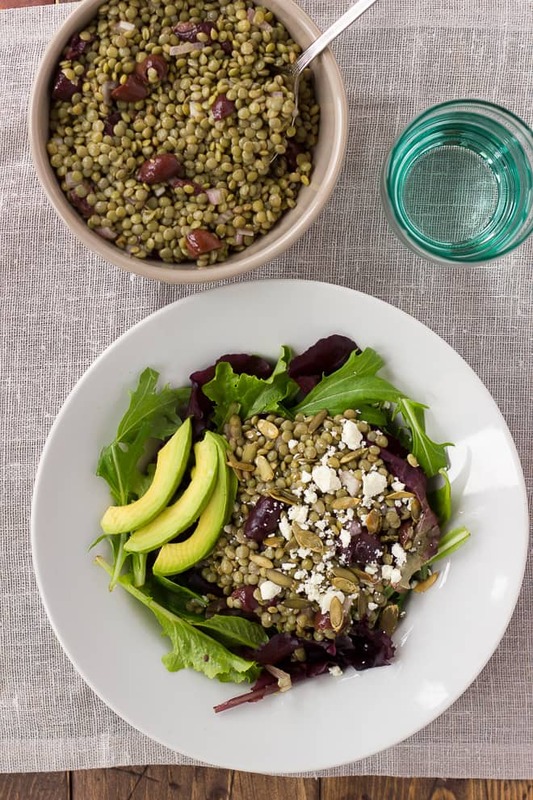 If you are serving the whole lentil salad all at once, add the full amount of the feta and mint to the salad. Serve the salad by itself, or over greens with sliced avocado and pepitas. Enjoy! This makes a lot of lentil salad! Feel free to cut the recipe in half. This salad tastes great cold, warm or at room temperature. This looks wonderful! The perfect between-winter-and-spring salad if you ask me. Yum! 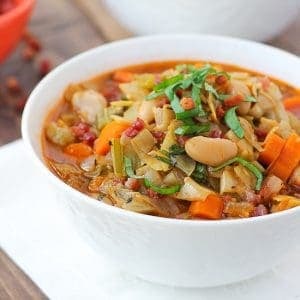 Love the addition of pepitas!